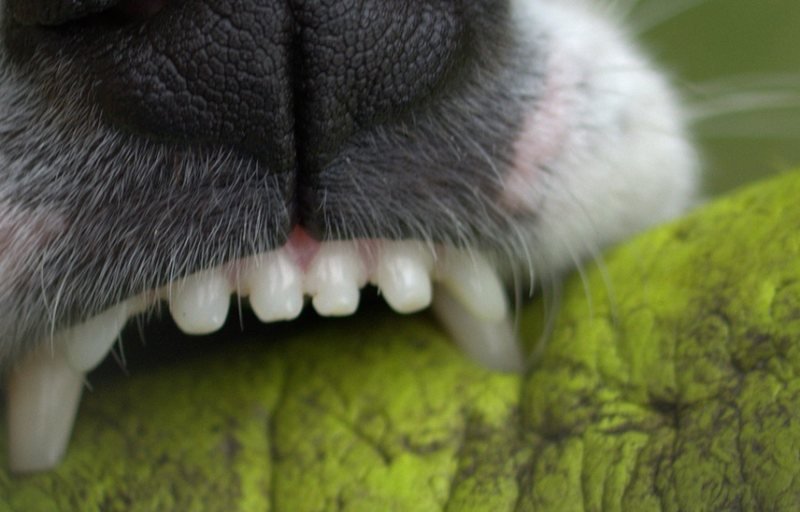 If you’re like most dog parents, then you know about the dreaded doggy breath. There are lots of dog toothpaste that you can purchase from your local pet store, however, these are loaded with artificial ingredients, chemicals and who knows what else! Thankfully, there are many natural homemade dog toothpaste that anyone can make from a couple of simple and common items in your pantry or fridge. 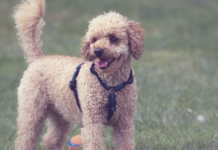 Items such as turmeric, baking soda, coconut oil etc, can be used to make dog toothpaste and these items are completely safe to use on your furry friends. 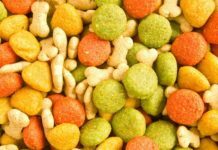 They will not only help to keep your beloved pet’s mouth smelling fresh and clean but will also help to combat plaque and other common dental issues. Best of all, by making your own toothpaste, it will help you to save a great deal of money since most retail toothpaste are quite expensive. So, without further ado, we will now look at 5 of the best dog toothpaste recipes. In order to make this toothpaste, you will need ground cloves, baking soda, cinnamon, parsley, coconut oil, and a bouillon cube. If you don’t have ground cloves, you can take some whole cloves and ground it up yourself. You should start with a flavored bouillon cube either in chicken or beef and dissolve it in one tablespoon of water. Then, add in a teaspoon of dried parsley which will help freshen your dog’s breath as well as a pinch of ground clove which is an excellent anti-parasitic. Add in 2 tablespoons of baking soda and one teaspoon of cinnamon which are both excellent abrasives. After this is well mixed, you need to add in a half cup of coconut oil. If this is difficult to mix, you should heat the mixture so that it softens. Now you have a batch of toothpaste that can be stored in a sealed container for many weeks and used daily. For this next recipe, we’re going herbal that will not only help to keep your dog’s mouth fresh and clean but their teeth white. You will need coconut oil, parsley, kelp, and turmeric. The coconut oil will be used as a base for this toothpaste and it should be softened first before mixing in the other ingredients. This can be done by popping it in the microwave for ten seconds or heating it gently in a water bath. Once the oil is pliable, you should mix in the parsley flakes, kelp, and turmeric. The turmeric acts as a natural tooth whitener and the parsley is an antibacterial agent that will actually fight plaque and kelp will also help to fight plaque. Once the mixture is finished, it can be stored in the fridge and used as needed. If the toothpaste is too cold and hard, it can be gently warmed until it is soft and then used to clean your dog’s teeth. Next on our list of homemade dog toothpaste that your furry friend will surely love is our herbed chicken broth toothpaste. In order to make it, you will need a tablespoon of chicken or beef broth, a tablespoon of powdered mint, half a tablespoon of vegetable oil and half a tablespoon of baking soda. Once you have all of the ingredients in the quantities above, you simply mix them until they are fully incorporated. This toothpaste can only be stored for up to five days in the fridge, so you should only make it as needed. 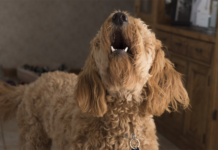 The chicken or beef broth is a great way to get your dog interested in the toothpaste and they will most likely enjoy the process of having their teeth brushed. The fourth toothpaste on our list is coconut and Stevia toothpaste. In order to make this toothpaste, you will need two tablespoons of coconut oil, four tablespoons of crushed Stevia leaves, fifteen drops of edible aromatic oils that are safe for dogs and two tablespoons of baking soda. You can mix the coconut oil, Stevia leaves and baking soda together and then add the aromatic oils, one drop at a time. You should taste the mixture after every few drops to ensure that it is not too strong in the toothpaste. The Stevia leaves will help to get rid of your dog’s plaque and bad breath and the coconut oil will help to prevent cavities. If you don’t have all of the ingredients listed above, then that doesn’t necessarily mean your dog has to do without toothpaste. Once you have baking soda and water, you can make a simple toothpaste to clean your dog’s mouth. All you will need is half a tablespoon of baking soda and one tablespoon of water. You should mix these two ingredients until they are well incorporated and then apply it to your dog’s teeth and brush. Baking soda will not only help to freshen your dog’s breath but it will also whiten the teeth. 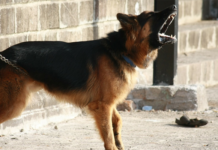 If there are any ulcers in your dog’s oral cavity, it will help by reducing discomfort. We have just looked at a couple of simple but effective recipes for homemade dog toothpaste. All of these recipes are extremely simple and the ingredients are quite easy to find in your local grocery. 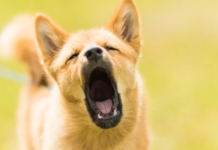 You definitely don’t have to waste money buying dog-specific toothpaste as these natural recipes will be more than effective at maintaining your dog’s oral health.